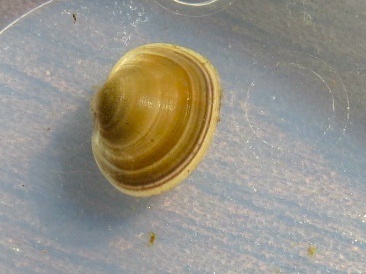 Size: 9-11 mm across. 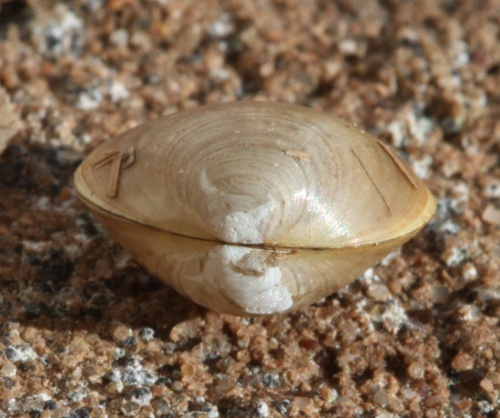 This small freshwater bivalve mollusc is broadly oval and fairly globular with a central umbo. 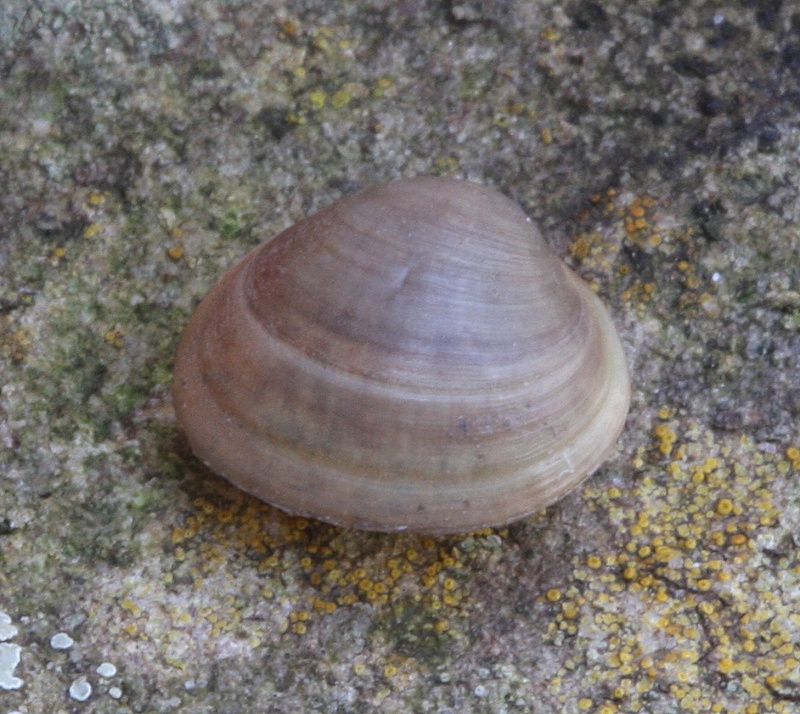 The colour of the shell is usually a brown to grey with the juveniles being more yellow colour. 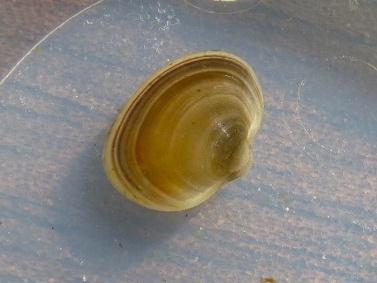 The surface is silky with very fine, irregular concentric growth ridges. 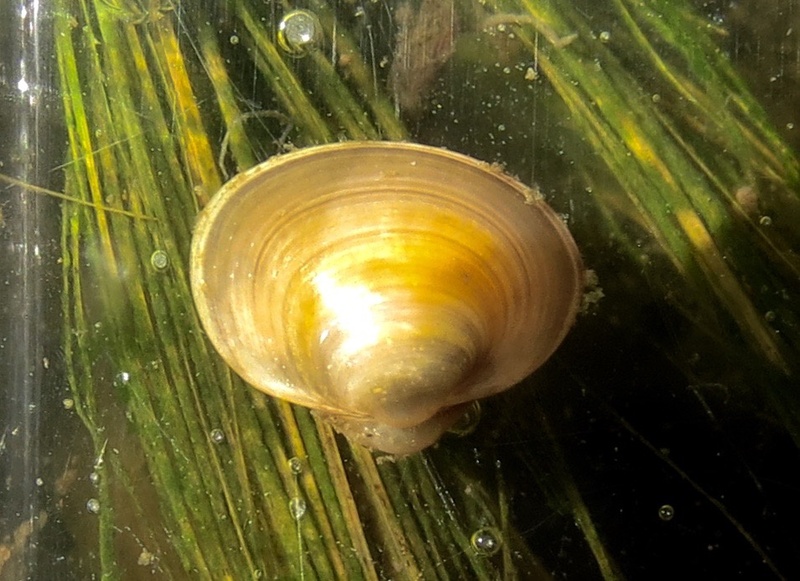 These small clams are found in shallow, freshwater habitats with slow moving waters, including freshwater lakes, ponds and rivers. 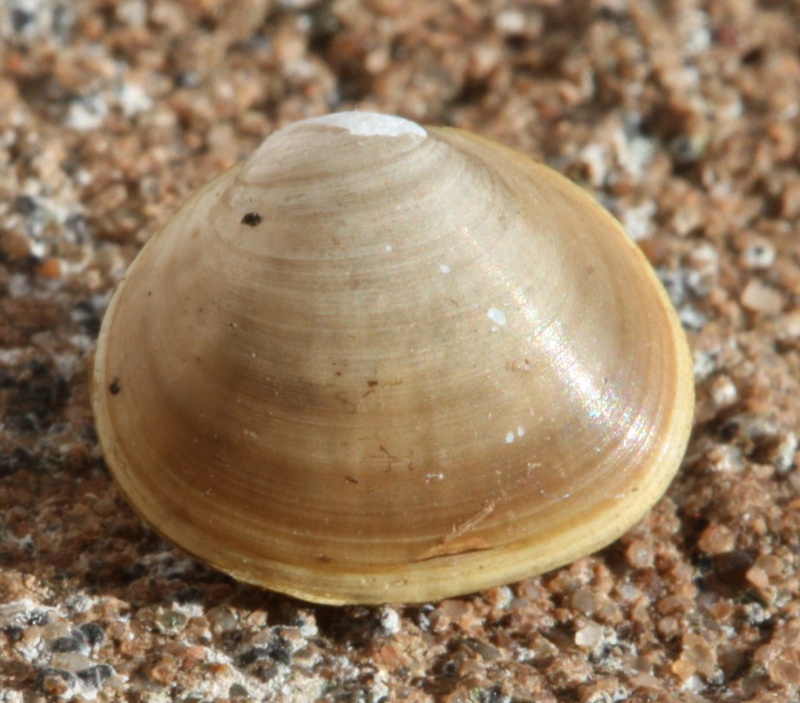 It is mainly a filter feeder and thus prefers healthy waters with good nutrition that provide a greater food source. 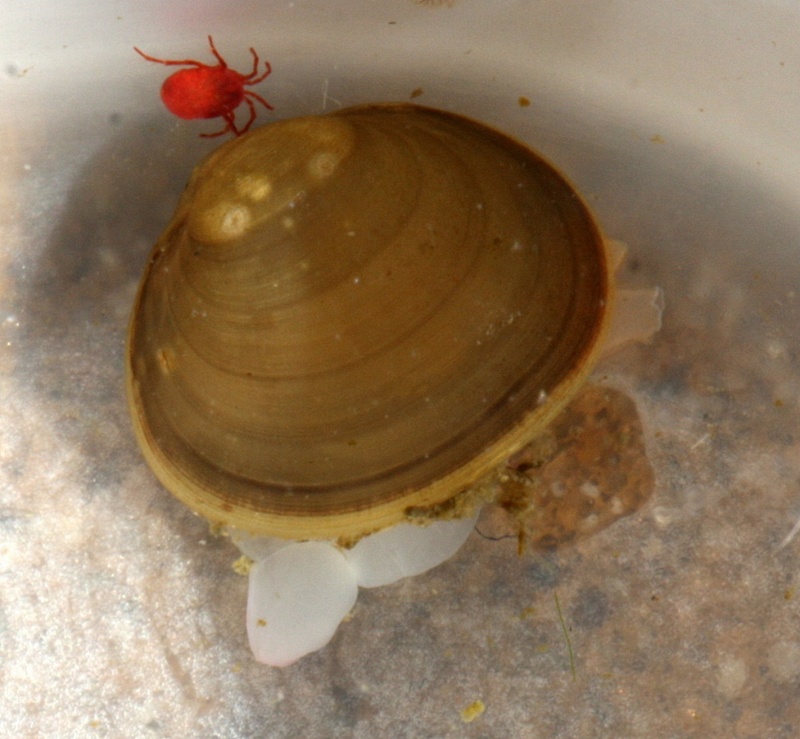 These clams have exhibited a unique ability to climb up plants and structures around their habitat to find more optimal locations for feeding.